This year I turned 40. It wasn’t a heartbreaking event. To me it was another birthday. I don’t think I’ve ever had a birthday party so the thought of having one this year didn’t come to mind. My husband later revealed that he had intended on giving me a surprise party, but it was during the patio construction and we all know how that worked out, therefore it didn’t happen. My friends kept asking me what did I want for my birthday. I mean according to them, turning 40 is a big deal and shouldn’t be taken lightly. I thought about it and the only thing I could come up with was the small television for my office and another tattoo to mark this momentous occasion. I thought I would really need to think about it some more. So my birthday came and I got my television for my birthday and I was happy. I haven’t gotten the tattoo because I can’t decide what I want. I know the location of the tattoo, just not what I want (although I’m getting really close to narrowing it down.) As time went on, I would purchase things for myself (or Stan would purchase them for me) and I chalked them up to gifts for myself because this was a major year for me. Then one day it hit me. The 40 Fabulous Gifts For My 40th Birthday. I had a year to purchase for myself (or others could purchase for me) 40 fabulous gifts. Things that I could gaze upon or use and feel really good. At first I thought the forty gifts would be shoes. Ya’ll know how much I love my shoes. But regardless if it was my 40th birthday year, my husband was not going to allow me to purchase 40 pairs of shoes in one year. · My new anniversary band. I wear gloves a lot and my original ring was either getting caught in the gloves or had me having to take ring off and I didn’t want to risk forgetting it in a lab coat. · The Nook HD – I will be dedicating a full post to the review of this new acquisition. · I’ve purchased ten new pairs of shoes – these have not been full price purchases of course, because that’s not how I do things; they have come from coupons and a couple of bogo’s from Shoe Dazzle, a crazy good deal on Hautelook.com, and of course the clearance rack at DSW. · I got a trainer – I know I needed to take my workouts to another level. The problem with that was I’m not the type of person to subject myself to extra strain if I don’t have to. So usually if something hurt I would stop doing it; and that’s not that effective. My trainer, Thomas, makes me push myself; by telling me I can do it and me not wanting to look like a loser. So that’s 14 things so far. I still have twenty-six to go. Now you’re wondering what I could still need to get. Here’s what I’m thinking…. 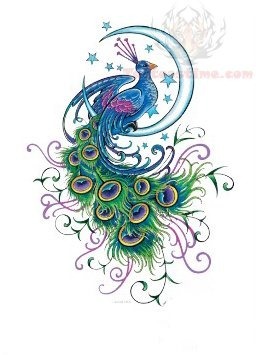 · My tattoo – I’m leaning towards a peacock or peacock feather, because I really like the colors. Something similar to this without the moon and stars and maybe not as flashy because it’s going on my foot. But I love the premise of the design. 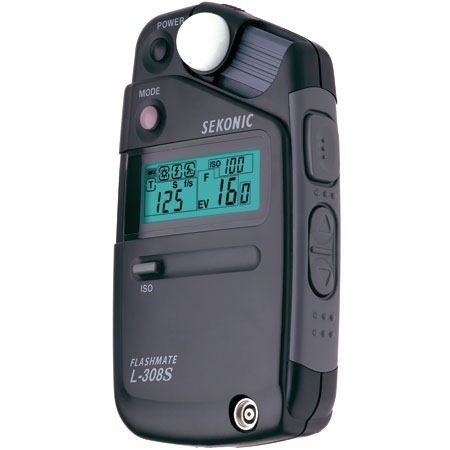 · I want a light meter for my camera because a conversation with a professional photographer suggested it to improve my portraits. This is not the model nor manufacturer that I’m interested in because I have no idea where to begin with this purchase, but I just wanted to give you an idea of what I’m looking at. · A new cell phone – I’m leaning towards the Samsung Galaxy 3S or Galaxy Nexus. I can’t upgrade until March so I have some time to think about it. I will have to go with a phone that doesn’t have a tactile keyboard so I want it to be as big as possible. Plus I may be more likely to have apps like Instagram if I don’t have to squint or enlarge the images. · A spa day – do I need to explain this? · Without a doubt I foresee more shoes in my future – did you not read the “About” page? · I want to buy some fabulous clothes once I lose the slight pooch that I acquired after I had my daughter (you know it’s sad that that was eight years ago. ). The rest of my forty things will probably come to me during the remaining six months of my year. I’m the type of person who it’s easy to shop for; because I let everyone know where my taste stand and everything doesn’t have to be name brand as long as the quality is good and it looks good. I really go by how things feel (when determining quality), you can feel when it’s junk. I mean as much as I love the look of Jimmy Choo shoes, they don’t agree with my feet (the same goes for Franco Sarto); but Jessica Simpson’s shoes are fabulous (that girl knows she can design a shoe) and I can wear them all day and run in them (the running reference is because I tend to love 3 inches or higher). I’m not saying Jimmy Choo is junk, I’m saying it’s like the old Digel commercial ‘I love Jimmy Choo, but that don’t love me, get yourself some Jessica Simspons’.